You build modular homes, either at the factory level or as a new home builder. You take a few minutes every other day and type something interesting that your company did and post it on Facebook, Pinterest or Houzz. 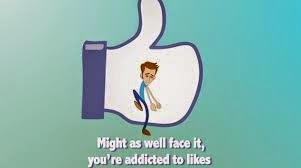 Then you sit back at some point over the next few hours and watch as perhaps 20-25 people "like" your post. You smile. Marketing is completed for another day. The problem is that these people are in passive mode while using social media. They may “like” your post but they also “like” Aunt Kathy’s posts about puppies, Chef Russell's post about making the perfect hamburger and Dwell's post about how to clean a toilet using pine cones. They are not actively seeking news about buying a modular home and certainly not going to find a builder just from your cute posts. You do however want them to think of you “if and when” they begin actively looking for a new home and having a social media presence is good in that you are already ahead of the guys that don’t use Facebook, etc. When they are in this active mode they search for modular home companies on Google looking for local builders. If that search brings up 4 local modular home builders in their area, you might rise to the top of the pile simply because they saw you posting on social media. That is what you wanted when you posted to Facebook. But simply being active still isn’t enough to drive these potential new home buyers to your office. Your website has to be attractive, informative and easy to use. It has to look like you update it on a regular basis. This is the thing that will get them to fill out your online form or email you or even, Heaven forbid, pick up the phone and call you. We’ll discuss ‘leads’ in a later article. Remember, everything you do should help the new home buyer find your website and go from actively looking for a builder to actually interacting with you. When you look at modular factories or builders that are successful in social media, they are not directly marketing their homes there. They are providing customer service and thought leadership, helping retention and awareness, and shaping brand perception. They leverage this large and attentive audience to gain business, but it is an indirect (yet cost-effective) way of doing things. The small to mid-sized builders that do succeed at this are needles in a haystack. If you want to use social media as part of your marketing strategy, it is imperative you do so from a place of offering prospective customers value -- producing content that is of interest to your target audience and being thought of as the top modular home builder in your area. When you do that, you receive that deserved attention from your target audience. Remember, if one of your Facebook posts would actually go viral and get 1,000,000 ‘likes’, how many homes will you sell just from that viral post? The answer is easy…none; unless it is actually seen by someone that wants to build a house right now in your particular market area. However, social media is an excellent place to showcase your homes to prospective customers. But when it comes to generating new clients and getting the highest ROI, social media (paid or unpaid) should be an additional channel -- not the main part of your marketing strategy.